According to the football transfer rumours in German Media (FCBayern), Serge Gnabry joined Bayern Munich. The Germany international was signed by Werder Bremen in August 2016 from Arsenal for a fee of 5 million euros. 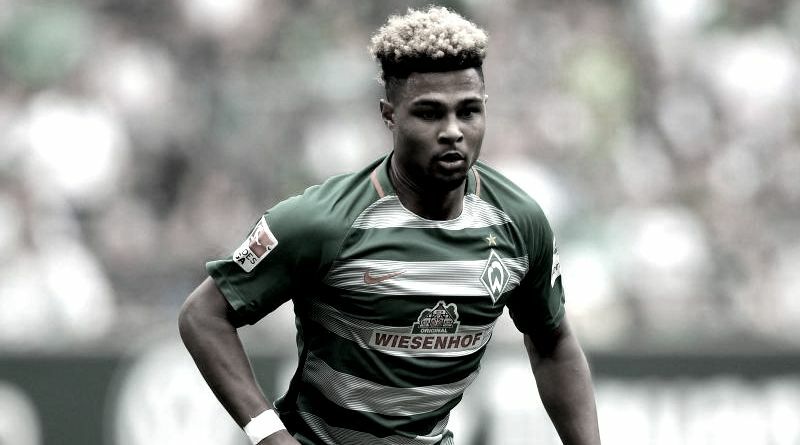 Since his arrival from Arsenal, Serge Gnabry has scored 11 goals and provided two assists in 27 games for Werder Bremen in all competitions this season. The 21-year-old is considered to be one of the best wingers in Germany. The Germany international has been in outstanding form for Werder Bremen this season. Serge Gnabry has represented Germany at Under-16, Under-17, Under-18, Under-19 and Under-21 level, winning 34 caps and scoring 13 goals, before making his senior international debut in November 2016. As a member of Germany national football team, Gnabry has won two caps and has scored three goals. Carlo Ancelotti has always been a manager who keeps his eyes on the most talented young players across the globe. The Germany international is thought to perfectly fit the profile of attacking player Carlo Ancelotti wants to target in the summer transfer window. Serge Gnabry will definitely be a good addition to the Bayern Munich side, which will be competing in the Champions League next season. The 21-year-old signs a three-year deal with the German giants.